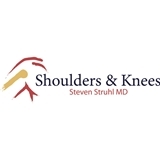 Steven Struhl (White Plains) - Book Appointment Online! The reception area is well kept. The receptionists were cordial. I wish the check-in system was more integrated with ZocDoc to retrieve appropriate responses for their paperwork. The doc was professional - and seems to hit the diagnosis spot on once we got down to business. I don't think I receive sufficient explanation for a first-time visit. However, the recommendations were sound and fell within my expectations. I was given a referral for PT and an expectation for a follow-up visit a month from this visit. Overall I'd rate it an 8/10.